Preheat the grilled to medium heat. Pour a dab (about a 1/2 tsp) of olive oil into the palm of your hand and massage it into the kernels of the corn. Repeat for all 6 ears. Sprinkle with garlic salt turning the corn to coat all sides. 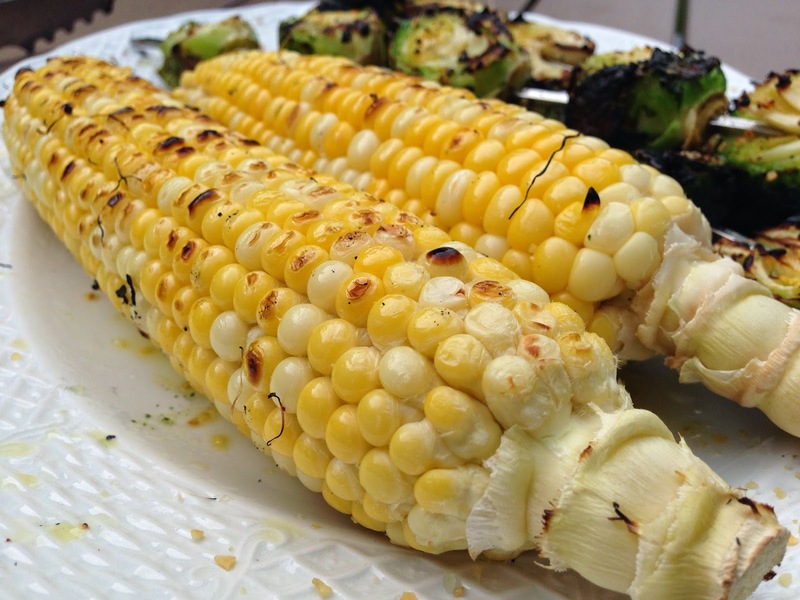 Place corn on grill and cook for 2 minutes. Roll the corn to cook the other sides and cook for an additional 2-3 minutes or until kernels just start blacken. Serve immediately. Check out the rest of the Top Ate Summer BBQ Recipes. I like to remove part of the husk and then put the corn on the grill while my meats are cooking. Near the end I remove the rest of the husk and hair and put some butter and lime juice on the corn and then finish it back on the grill to char it a little. This is particularly good for early corn that isn't super sweet on it's own. Jen, that sounds great. I've always wondered how easy it is to remove the husks and hairs while the corn hot. Suggestions?